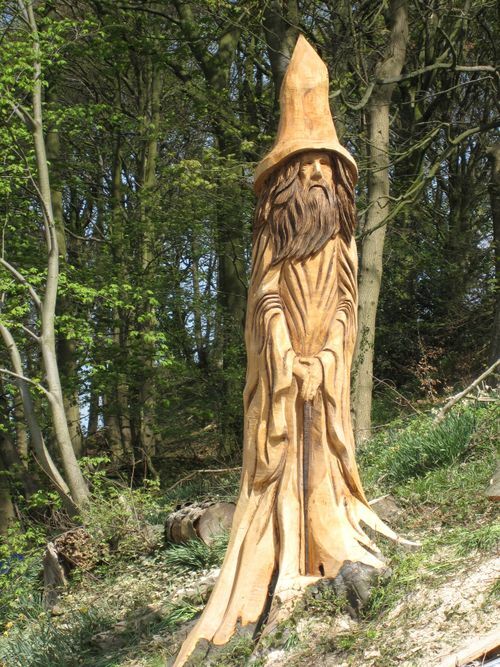 This Wizard with a walking stick has been chainsaw carved from the stump of a Beech tree. The stump is almost fifteen feet high. He is situated at a very nice house in Macclesfield where I have also carved a Buzzard - also on a hillside - and two owls from a Holly tree stump.